The track that came out today, borrows a key lyric from Divine’s recent song, Teesri Manzil. The fans had been dying to listen to Ranveer Singh‘s rap ever since the trailer and teaser of Gully Boy launched and their wait has borne sweet fruit as the song Apna Time Aayega released today. Gripping Internet in a frenzy and fans in a rapture, Ranveer looks sensational as he is seen and heard rapping like a pro, looking convincing and as if genuinely belonging to the world of hip hop. 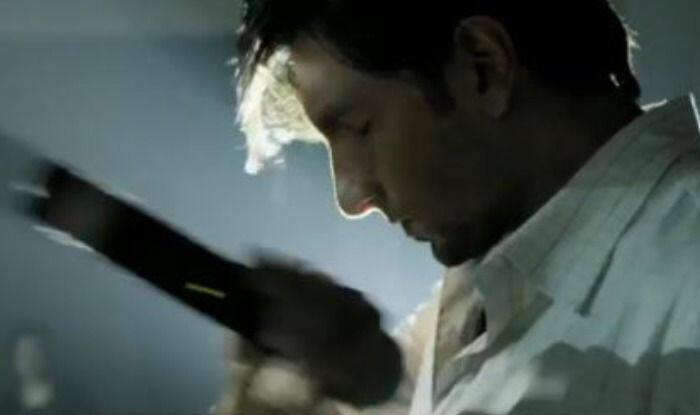 Ranveer plays the titular role of an underdog rapper who makes his eloquence heard in the world of music and the video song released today shows a mentor-like figure, probably his character’s coach pushing him to train harder to become the ‘Gully rapper’ while warning him of the many traps he must avoid during this journey of building his career. The song starts and we are already washed down with a strong feeling of it raging as the netizens new anthem. The narrative of the video takes us through scenes depicting the character’s journey and determination to become a distinguished rapper. The two minute ten seconds video also offers quick glimpses of Alia Bhatt’s feisty character as she plays the rapper’s romantic interest, Ranveer practicing his rapping with his mentor, glimpses of Ranveer’s job as a driver, as seen in the trailer too, his attraction to a life of crime and being lured by money and attention when Kalki Koechlin’s character enters his life. The poignant colloquial lyrics are not going to leave the listeners anytime soon and are efforts of Divine and Ankur Tewari while the peppy number is composed by Divine and Dub Sharma. Directed by Zoya Akhtar, the storyline of the movie is inspired by the struggles and work of rappers Divine and Naezy, both of whom have been closely associated with the project. The track that came out today, borrows a key lyric from Divine’s recent song, Teesri Manzil.